About the Book: Forensic psychologist Dr. Jack Carter has had to question his sanity – a year’s worth of memory lost, his wife, Sarah, missing and himself the prime suspect. His most recent cases have led him to meet beings he could only classify as supernatural. Called to consult on a mother’s mental health after she confesses to drowning her five children, Jack finds there’s more to the death of these kids than a fanatically religious mother’s fractured grasp of reality. Every turn in the case leads him to face the truth – a powerful entity known only as The Sleeper is spreading a murderous corruption throughout the world. Can Jack survive its terrible pull and discover the truth about what happened to Sarah? 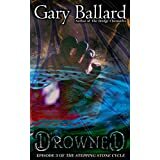 About the Author: At the age of eleven, Mr. Ballard began creating his own fictional worlds and inhabiting those worlds with eccentric characters. As an artist, graphic designer, musician and author, he has spent decades enumerating a unique evolving vision of an absurd universe. His first four novels comprise a cyberpunk series called The Bridge Chronicles starring the amoral fixer of future Los Angeles, Artemis Bridge. The Bridge Chronicles in turn is one slice of cohesive universe that began as a pen-and-paper roleplaying game. Gary has recently begun a new series of novellas based on the Cthulhu Mythos made famous by H.P. Lovecraft called The Stepping Stone Cycle. 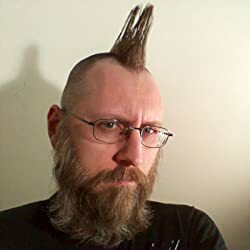 Mr. Ballard currently lives with my his wife and three dogs in Mississippi, where he continues to write, blog, compose music and play video games. 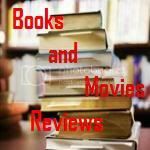 My Review: This is the third episode of the Stepping Stone Series. In the first episode we learnt that Dr. Jack Carter was in catatonic state for over a year when he recovers conscience just to find out that he is the primary suspect in his wife disappearance. As there is no body he is not charged with the murder, so he resume his work as a forensic psychologist and continues investigating the disappearance of his wife. In the second episode, a double murder in a small town in Mississippi brings him into contact with a young rock music writer from a band named Metal Black. His lyrics are very dark an in one lyric he describes the death of a woman named Sarah (Jack's wife name). Two young boy's were charged with the murder of two girls named Sarah and their mother sues the band blaming that their lyrics influenced the boys to commit the crimes. When Jack starts to investigate the case, he came across some quite strange situation that changes his view on the power of the stepping stones. The third episode brings to Jack a case of a mother that drowned her five kids, claiming they were no humans. Her descriptions of entities matches what Jack had previously encounter in his past cases. When Jack goes investigating this case, what he finds behind the preachers of a pastor goes quickly wild and the end of the story is very intense and unexpected. This is a very interesting sequence to the original story, very well written and entertaining, that will keep the reader hooked until the turn of the last page. I really want to read more episodes from this series. Kudos to the author for producing such an entertaining series! I recommend this book to any reader who loves mystery books. They will not be disappointed. I suggest that they read the books in the order they were released, first the "First Stone", then the "Metal Black" and finally this one, "Drowned". I received a copy from the author for reviewing and I was not requested to write a positive review. Opinion expressed here is my own. If you read this review, feel free to leave a comment!